I was diagnosed at the age of 19 with a rare kidney cancer known as HLRCC, which currently has no known cure. I established Driven to Cure, a 501(c)(3) nonprofit organization, to help others and raise awareness for rare kidney cancers. I was diagnosed at Massachusetts General Hospital on May 15th, 2015 at the end of my freshman year at the University of New Hampshire. I was told that my Stage 4 rare kidney cancer known as HLRCC would not respond to any of the approved cancer treatments available today. Fortunately, the doctors at Mass General Hospital referred me to the National Cancer Institutes at NIH, where researchers have had some success with an experimental treatment program for my type of cancer. I was number 42 in my first trial treatment program. The doctors at NCI/NIH have had success prolonging my life so I have been able to continue to participate in the next generation of new trial drugs, some of which I have been the first to try as a volunteer. In April of 2017, I qualified for a new HLRCC trial at the Yale Smilow Cancer Center. In 2018, I moved to another new trial at the Georgetown Lombardi Cancer Center in close collaboration with NCI/NIH and Yale. At the beginning of 2019, I am back at NCI/NIH volunteering in my 8th trial. Without the incredible collaboration between National Cancer Institute at NIH, the Yale Smilow Cancer Center, and the Georgetown Lombardi Cancer Center, I would not be alive today. After being diagnosed at the age of 19 with a rare kidney cancer known as HLRCC, which currently has no known cure, I established Driven to Cure, a 501(c)(3) nonprofit organization to help others. As the dust began to settle from my finding out about the cancer, I remember sitting down with my dad, as the clock was ticking. He stood there and asked a simple question. “Andrew” he said, “what are your life goals?” I thought for a moment with this new lens on life, looked at him, and chuckled “Well I need to own my dream car sometime in my life.” But my dad didn’t take it as a joke…Three weeks after being diagnosed, I found myself sinking in to the soft leather of my very own brand new Nissan GTR. It was more than a dream come true. My GTR has proven to be the closest thing I have to a cure for my cancer. Driving the GTR has become a tremendous outlet for me. The places I have gone, the people I have met, and the passions I have developed just because of this gift have become the best medicine available. Within days of driving the car off the lot I found myself attending local car shows, answering lots of questions about HLRCC, and creating new friendships with people of all different backgrounds. As folks started talking, my story began spreading and within a month people started to recognize me and why I had this incredible vehicle. It was clear my situation had a big impact on others and I suddenly found myself experiencing an immense outpouring of love and support. It was then I realized that the vehicle of my dreams was also the vehicle which gave me the opportunity to make a difference; to do something bigger than myself. That is why I am here, writing this story. I created Driven to Cure to join two of my biggest passions, cars and cancer awareness, and to serve something far greater than myself. According to the American Cancer Society, kidney cancer affects 31,000 Americans annually, killing 11,900 of them. I was told at the time of my diagnosis that I might survive a year or more. I have chosen to fight this horrible disease and to help others in this process. 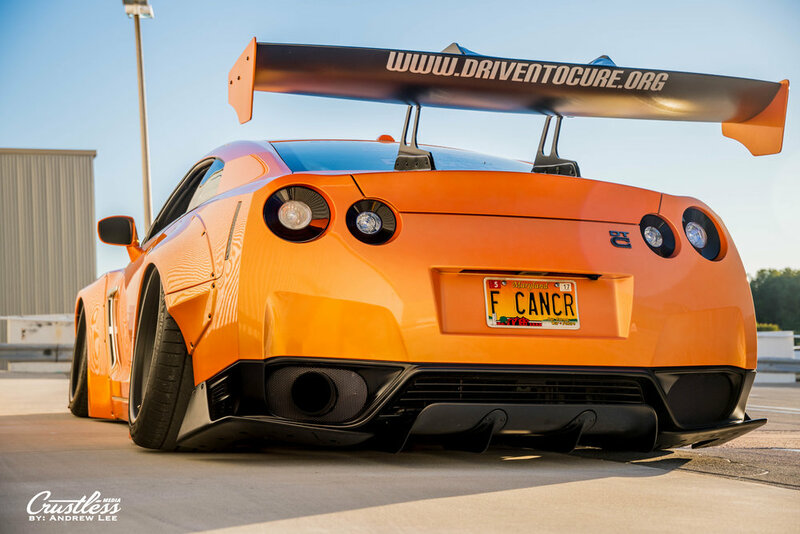 Driven to Cure’s goal is to bring awareness and additional research funding to find a cure soon for rare kidney cancer diseases, including the development of the next generation of drugs to help others. Your generous donation will help to accomplish this goal and will make a difference in the lives of children, young adults, and their families affected by these diseases. Since the founding of Driven to Cure 2016, we have raised $400,000 for the research of rare kidney cancers like HLRCC. We hope to reach $600,000 by the end of 2019 and with your help we will!